I’ve read all the books, watched all the movies and the TV episodes. My sister and I were even Holmes and Watson one Halloween. I try to apply his logic in my daily life — mostly just for fun. And still I have not been able to determine how Sherlock survived the Reichenbach Fall (a mystery that I’m so glad will be revealed tonight). It’s much more than a three-pipe problem. Konnikova is at least as much of an avid fan and brings her PhD in psychology to the Holmes stories. She sets up the differences between a Holmesian mind and a Watson mind. Watson is the sort of rational brain in its default mode (Although in her thesis I don’t think she gives Dr. Watson enough credit). Holmes on the other hand has trained his brain to intake information differently, sort it in his mind’s “attic” and recall it very quickly in order to make the bewildering seem perfectly clear. 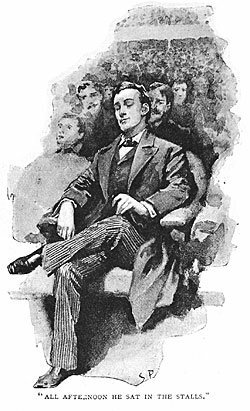 A Sidney Paget illustration, in which Sherlock practices ‘distancing’ and allows his mind to wander. Konnikova employs the latest in brain research to show how our minds work (with a nod to Doyle for predicting it in his characters) and how they can be molded and taught to think differently. She also approaches more theoretical ideas such as a psychological and physical distancing, and how removing ourselves from a situation can actually enhance our mind’s ability to make sense of it. Konnikova even includes a short chapter on Doyle himself and his belief in Spiritualism, using the Cottingley Fairy photographs as proof. I do wish there had been a bit more of a checklist style appendix at the end. All of the information was solid, she makes excellent points and she always brings it back to Sherlock. But there is so much information that it is a bit overwhelming. 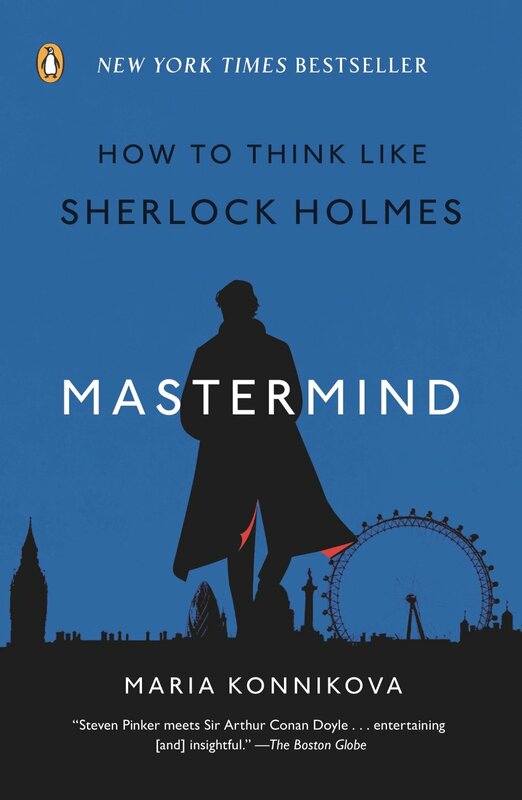 If I really want to know HOW to think like Sherlock (not just how Sherlock thinks, vs. how Watson thinks), I’d have to go back and make copious notes, pulling bits from the text itself. Chapter 7 is an attempt at that but it is still entirely too in depth and wordy. Just give us some exercises to try or ways to impress our friends. The point remains that we see, but we do not observe. Perhaps with the information in this book, we can become better observers. Many thanks to Laura at Penguin for the review copy.